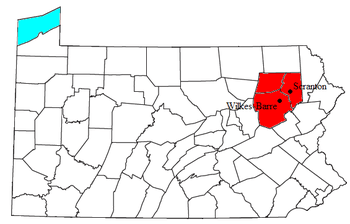 Scranton/Wilkes-Barre/Hazleton area’s overall well-being could be worse, but not much. ■ Purpose: Liking what you do each day and being motivated to achieve your goal. ■ Social: Having supportive relationships and love in your life. The Scranton/Wilkes-Barre/Hazleton area ranks near the bottom of the list of jobs leading the recovery that promise to revitalize the nation’s economy, according to a report from the Brookings Institution. The Report, “America’s Advanced Industries: What they are, where they are, and why they matter” looked at those jobs in the nation’s 100 largest metros and ranked Scranton/Wilkes-Barre metro area 92nd. These important jobs are leaving the area, the report noted, with Scranton/Wilkes-Barre’s employment in advanced industries falling about 2 percent every year. Many terms have been used to describe the important sector: high-tech, STEM (science, technology, engineering, math) and now “advanced industries.” What makes understanding the sector more complex is that the field cuts across 50 industries from certain types of manufacturing and energy to computer software design and health care. A STEM job could be found just about anywhere, such as a computer programmer for a trucking company. The National Weather Service has confirmed that a tornado touched down near New Albany Tuesday evening. Tuesday’s storms blew a mobile home on Marsh Road off its foundation, collapsed a barn across the street, knocked down trees and power lines in several areas and caused the loss of power to thousands of electric customers, over 1,000 of whom were still without power Wednesday. Downed trees and other storm damage was also reported in Overton Township, in the Wyalusing area and in Sullivan County. A National Weather Service storm survey team confirmed Wednesday that a tornado occurred Tuesday in the New Albany area with damage of EF-1 magnitude, according to the NWS at Binghamton, N.Y. An EF-1 tornado has wind speeds of 86 to 110 miles per hour. 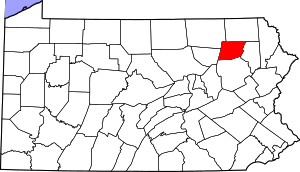 WILKES-BARRE, PA – Following a recent pattern, the unemployment rate in the Scranton/Wilkes-Barre market fell in May, but so did the number of people with jobs. The 7.2 percent rate was down one-tenth of 1 percent from April and 1.9 percentage points from the May 2013 rate of 9.1 percent, the state Department of Labor and Industry said. But the region that includes Luzerne, Lackawanna and Wyoming counties maintained the unenviable distinction of having the highest jobless rate in Pennsylvania. Both the size of the labor force – people working or looking for work – and the number of people with jobs fell compared to April and over the year. So, while 6,100 fewer people were reported as unemployed than last May, some of them may have given up looking for work. Frank Nemeth, of Wilkes-Barre, doesn’t need a study to tell him the region is in rough shape. Nemeth works at the Main Street Trading Post, a pawn shop south of Public Square, and he said his job has exposed him to the harsh realities of the city’s economy. “I don’t see any recovery happening,” he said. Instead, Nemeth said he sees some of the same people everyday — sometimes two or three times — trying to sell their belongings to afford necessities like food and gas. 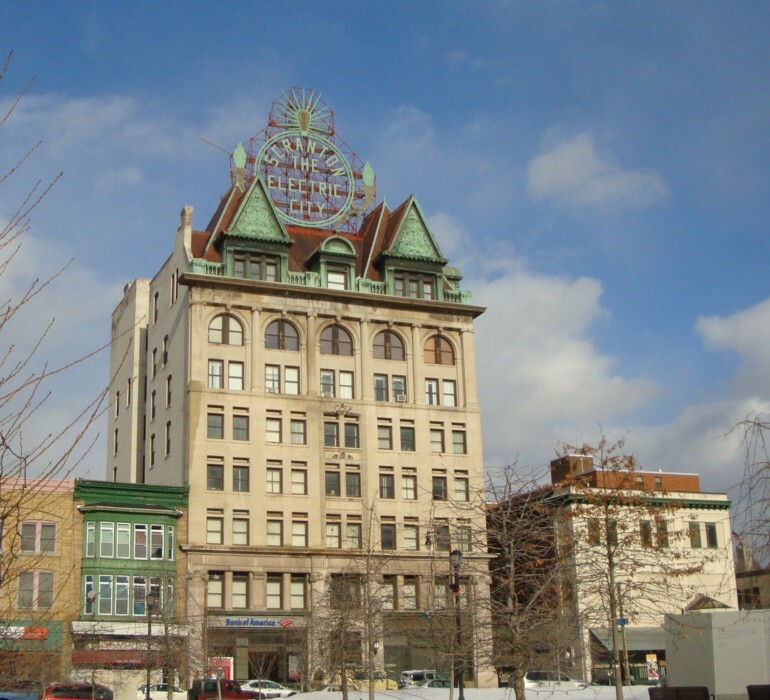 WILKES-BARRE, PA — Diamond City Partnership Executive Director Larry Newman said Friday he wishes he could be more enthusiastic about the Forbes Magazine ranking that put the Wilkes-Barre/Scranton metropolitan area as the eighth best place in the U.S. to raise a family. “One of the lowest median family incomes ($42,000) among U.S. metro areas, but crime is low, commutes are short and housing is affordable (87 percent of area homes are affordable at the median income level). Poll: Those In NEPA Among Most Miserable In U.S.
Editor’s note: Lancaster, PA ranked 21st on the list 🙂 The happiest of any Pennsylvania Metropolitan Area. Hey now! People in the Scranton/Wilkes-Barre metropolitan area are among the most miserable in the nation, according to a report that ranks the area 177th out of 189 it surveyed to gauge residents’ sense of well-being. Their continuing economic downslide, bad memories, misperceptions and even a lack of sunlight may play a part in Northeast Pennsylvanians’ gloomy outlook, some local experts say in commenting on the State of American Well-Being, the report released last week by Gallup and Healthways. The highest-ranked area was Provo-Orem, Utah, and the lowest-ranked was the Huntington, W.Va.-Ashland, Ky. area. More than 178,000 people across the country were interviewed last year, including a sample size of 1,092 from the Scranton/Wilkes-Barre area. The survey asked people to rate their life evaluation – a combination of current situation evaluation and the anticipated situation in five years – emotional health, work environment, physical health, healthy behaviors and basic access to health care and other necessities. WILKES-BARRE, PA – As the saying goes, March is coming in like a lion. Three to four inches of snow is expected in the Wyoming Valley Sunday into Monday, according to a spokesman for the National Weather Service. The storm comes on the heels of a week of bone-chilling temperatures. The tri-county area including Luzerne, Wyoming and Lackawanna ended 2013 just like it began, with the highest unemployment rate of the state’s 14 metropolitan statistical areas. December also marked the 45th month in a row the Scranton/Wilkes-Barre/Hazleton region held that distinction. 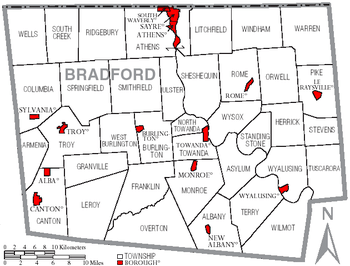 Food stamp distribution in the Scranton/Wilkes-Barre metro area exploded by 75 percent between 2007 and 2012. The number of households receiving federal assistance under the Supplemental Nutritional Assistance Program ballooned to 35,256 in 2012 from 20,195 in 2007, Census Bureau data reveal. SNAP stamp benefits in 2012 went to 14 percent of the residences in Lackawanna County, 17 percent in Luzerne County and 20 percent in Wyoming County. More than 90,300 people in the metro area participate in the food-stamp program, according to federal data cited by U.S. Sen. Bob Casey’s office. 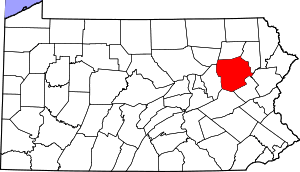 TUNKHANNOCK — Two months ago, Helen Humphreys sat in her cluttered Williams Energy field office downtown in this Wyoming County borough surrounded by exhibit displays and stacks of binders. Outside the room, clerical employees and field workers shuffled around each other in the converted credit union building. Technicians’ gear and road signs were stacked in corners neatly, but obviously out of place in the former bank. It was not a scene you’d expect for an operator of some of the country’s largest pipeline systems. Williams has grown from six employees in Northeastern Pennsylvania to more than 100 in a 2 1/2 years, and the growth has inspired construction of the company’s new field office on the outskirts of town, said Mike Dickinson, a Williams operations manager. Humphreys, a strategic outreach coordinator for the company, kicked off a ceremonial groundbreaking Monday to announce Williams’ new 30,000-square-foot field office to be completed by spring 2014.